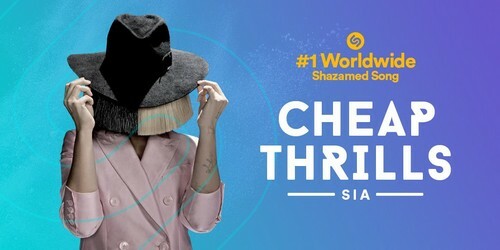 "Cheap Thrills" is the #1 most Shazamed song in world this year! (2016). . HD Wallpaper and background images in the Sia club tagged: photo sia cheap thrills #1 song.